Register your team to compete at the House of Sports in Ardsley. 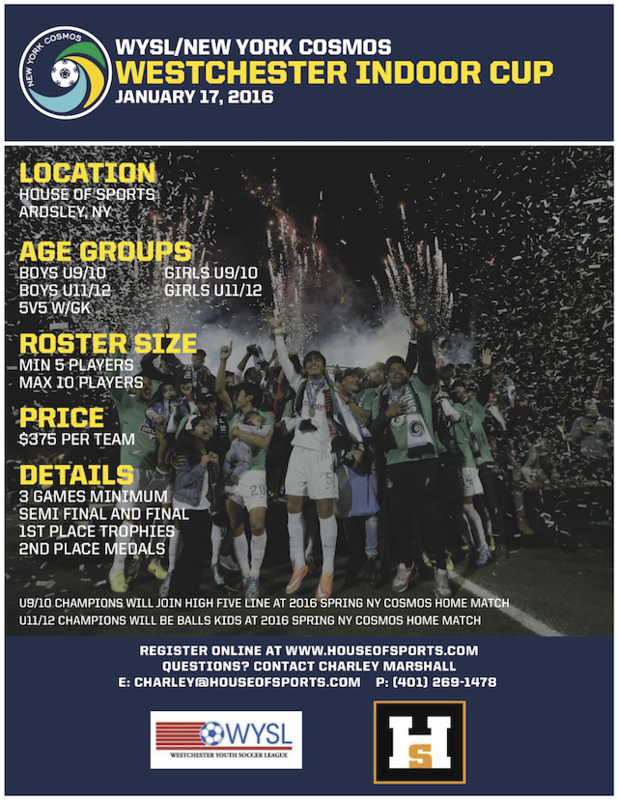 The Westchester Youth Soccer League (WYSL) and New York Cosmos Training and Development Program are working together to bring the Westchester Indoor Cup to the House of Sports in Ardsley, N.Y. on Jan. 17, 2016. WYSL teams of boys and girls U9/10 and U11/12 are invited to register. 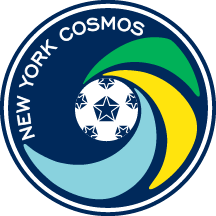 Prizes include special experiences at Cosmos home games in their upcoming 2016 Spring Season! For additional information, please contact Charley Marshall at charley@houseofsportsny.com.